Union Minister SS Ahluwalia has told the Bharatiya Janata Party’s leadership that he is opting out of the Darjeeling Lok Sabha seat, and the party may chose any candidate it finds fit to contest from the constituency in West Bengal, a senior leader of the party confirmed. “He has communicated to the party his willingness to contest from any other seat that the party may deem fit,” the leader said. 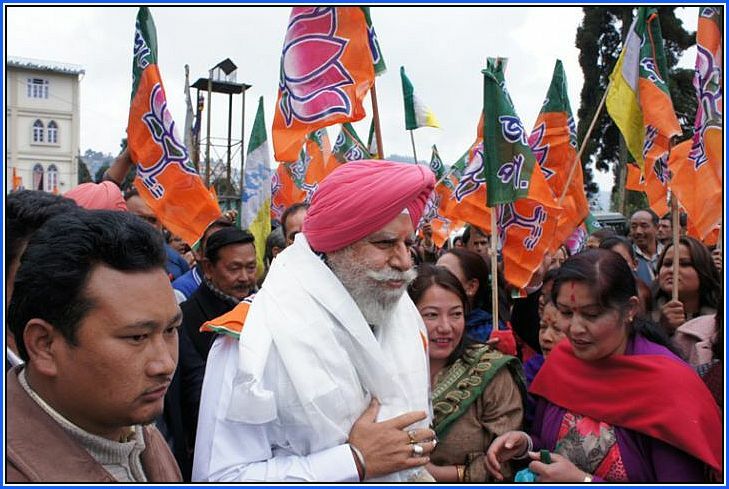 A several-time parliamentarian, Ahluwalia won the Darjeeling seat in 2014 with a margin of over 1.9 lakh votes, but an internal tussle within the BJP ally, Gorkha Janmukti Morcha, was troubling the BJP. The GJM led a violent agitation for a separate Gorkhaland states, prompting police action against its leadership. The outfit also got split, with a faction of it now backing the Trinamool Congress of West Bengal chief minister Mamata Banerjee. While the GJM holds sway over 3 assembly seats of Darjeeling, the BJP has a strong presence in the 4 assembly segments in the plains, which fall in the Darjeeling seat.